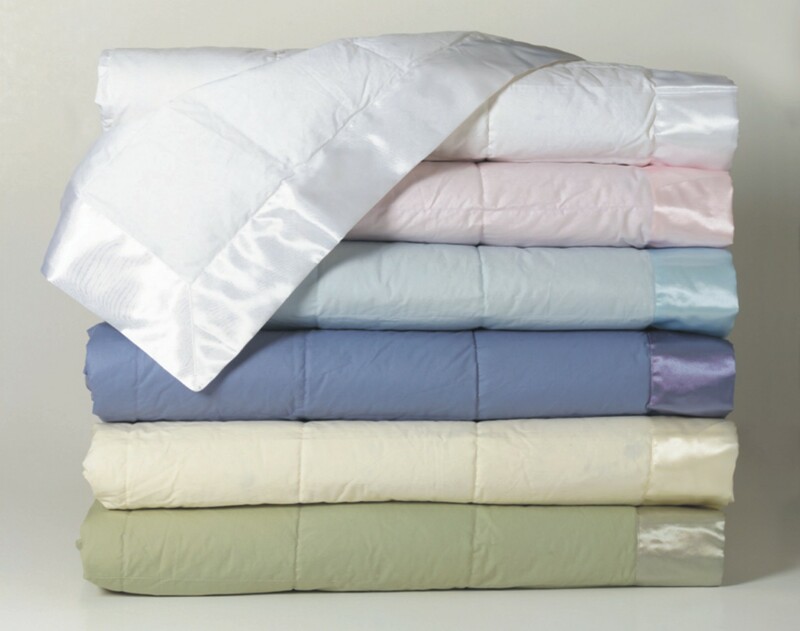 Beautiful lightweight all season blanket, filled with super washed hypo-allergenic 575 fill power, white down. The 230 thread count cover is finished with a wide satin flange. Machine washable. Click view button to select color and order.